I have absolutely loved getting to know Janelle and Luis through their journey into parenthood. Janelle booked me to do their maternity photos, as well as their newborn photos, and I am blogging them slightly out of order. 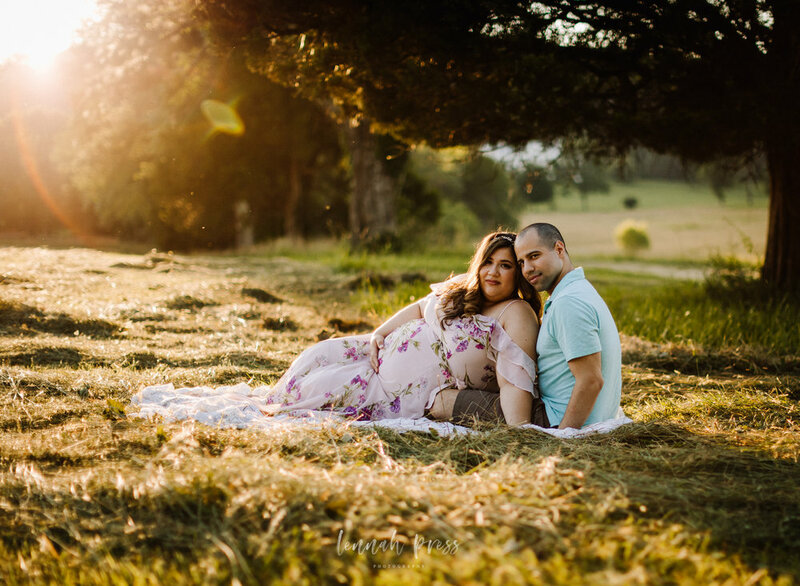 We shot their maternity photos at Morven Park in Leesburg, where I am a photography partner. Janelle was looking for a more natural feel to the images, whereas Luis wanted some architectural aspects. Morven has all of the above, and then some! We were met with some beautiful light, and although it was hot, it’s wasn’t summer in Virginia hot. As a girl who likes to get dolled up when I have the chance, I was thrilled with Janelle’s hair and makeup, girlfriend is fierce!